The weekend of 13 and 14 October, in “Hotel Romantik” Veles, the National Network to End Violence against Women and Domestic Violence organized training on the significance and implementations of the Council of Europe Convention for Prevention and Combating Violence against Women and Domestic Violence- the Istanbul Convention. The training was intended for the presidents and representatives from women`s forums within the political parties and was attended by 16 women politicians from the following political parties: NSDP, LDP, LMP, SDSM, VMRO-DPMNE, United for Macedonia, GROM, PEI, DUI and DPA. During the training the significance of the Istanbul Convention was presented and draft action plan was prepared which the Women`s Forums, in cooperation with the National Network team, will undertake for promotion of the Istanbul Convention before the membership of the political parties, as well as activities they are going to implement on local level with the Commissions for Equal Opportunities. 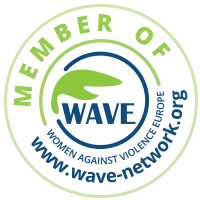 The Istanbul Convention is the most significant international document in the fight against domestic violence. As an international document, the Convention give significant contribution in the international community in the fight against violence against women and domestic violence. The Republic of Macedonia ratified the Convention on 22.12.2017 and it was entered into force on 01.07.2018.